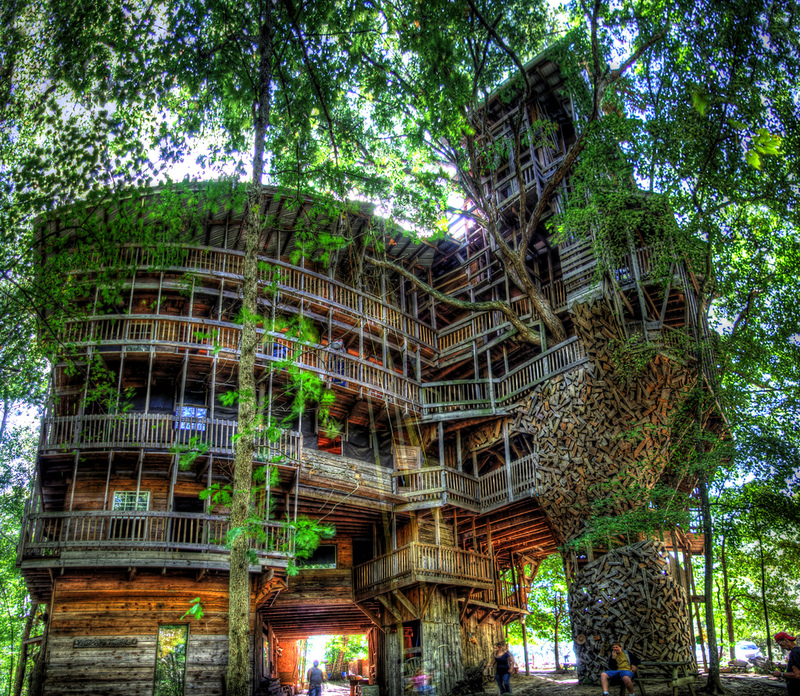 The largest tree house in the world is in Crossville, Tennessee (USA). The owner, Horace Burgess claims that God personally gave him the contract to build the house. 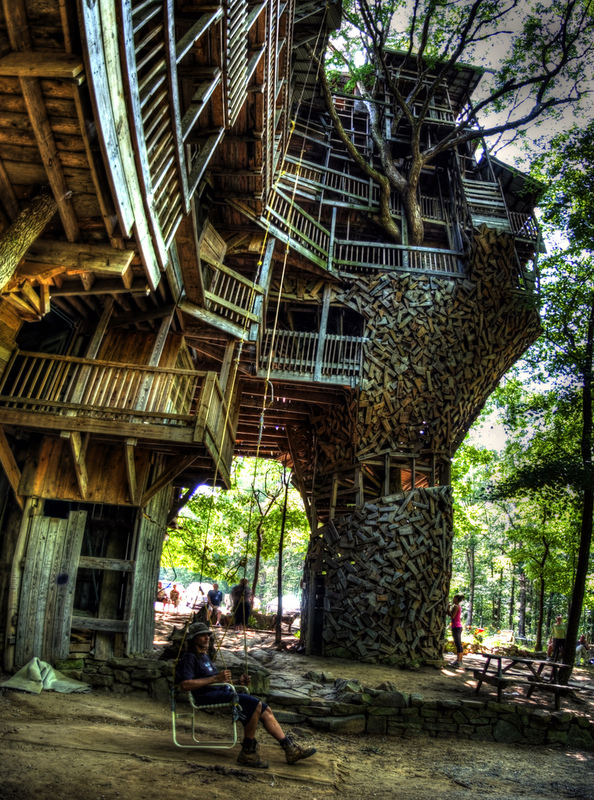 It is also known as “The Minister’s Tree House”. The dimensions of the house are truly gigantic, the ten story structure is supported by six oaks and more than 250,000 nails have been used since 1993. If you add all the floors together, the “living space” sums up to more than 3000 square meters. 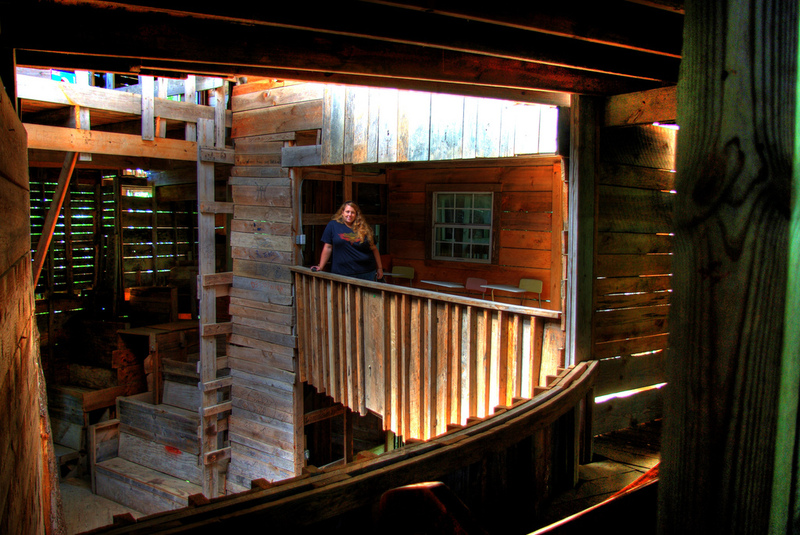 It took 14 years to complete the house and even though the house is made wholly out of wood the estimated building costs were around $12000. 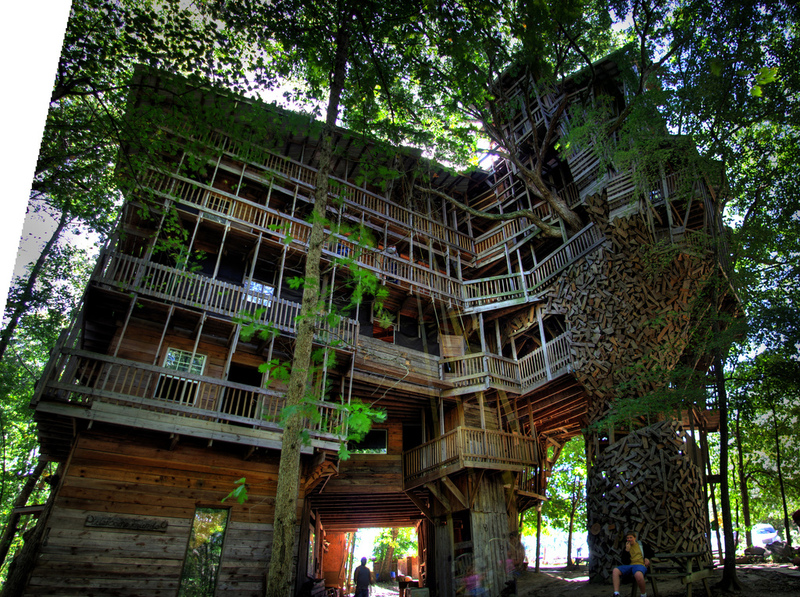 Who would build such a thing? Only a madman, one might think. 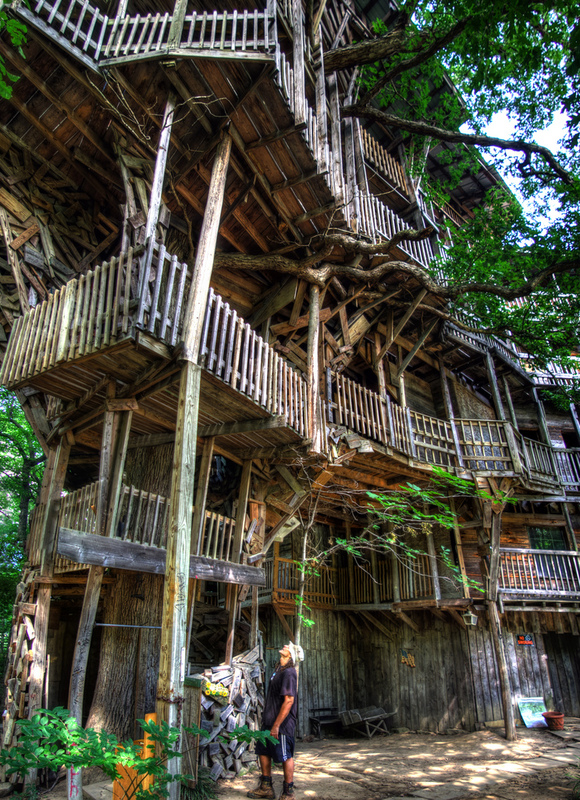 Horace Burgess claimed that God personally commissioned in 1993 to build the tree house along with the promise that he’ll never go out of building material. It seems that God has kept his word so far. 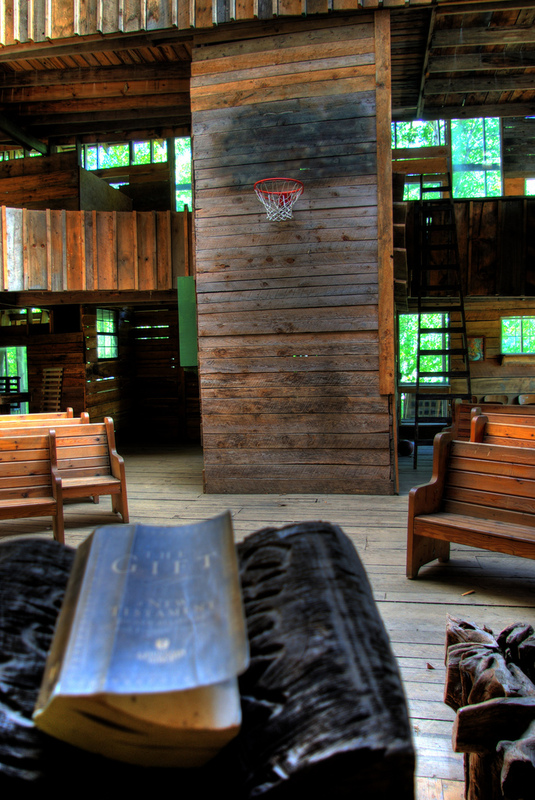 The building has a penthouse on the 10th floor and a large space in the center of the building that can be used for both devotional prayers as well as basketball games. 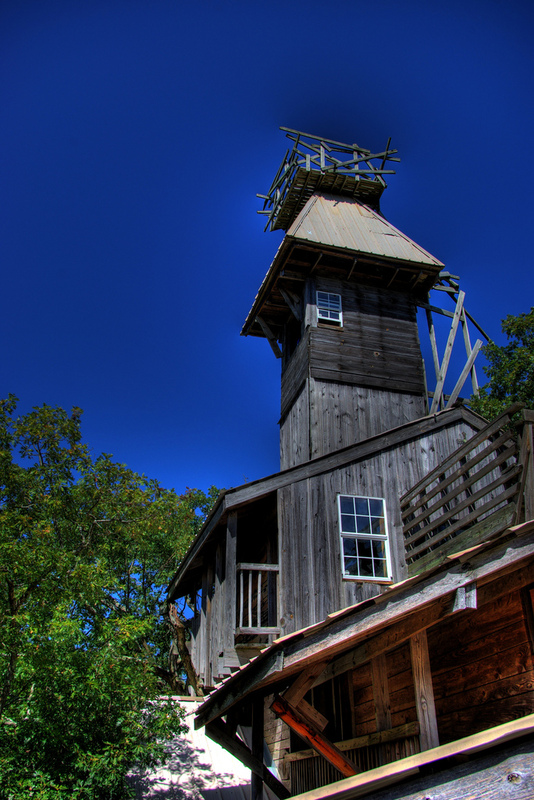 It also has a church bell that weighs half a ton. 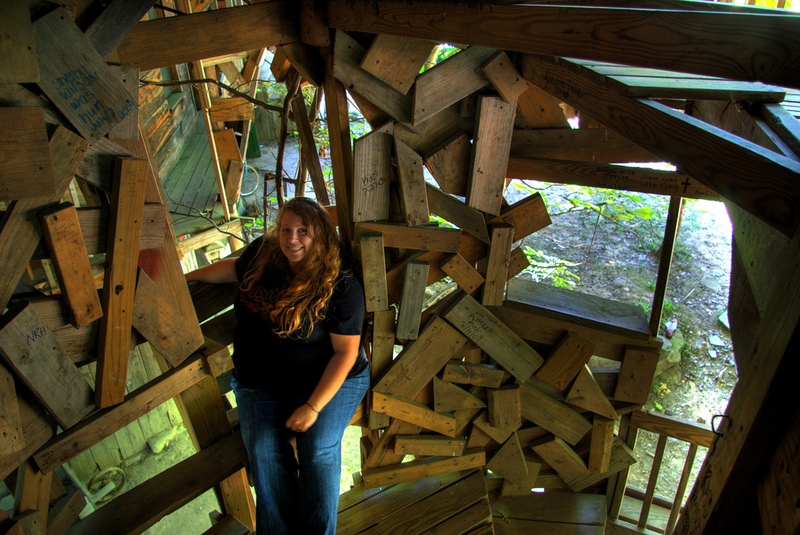 Tourists documented their visit on the countless pieces of wood that make up the house. After being open for a long time the house has been closed in 2012 by the Fire Marshalls because it violates the local fire code. The local fire department is afraid that major fire might break, for a structure made only of wood it would have devastating consequences. Location: Beehive Lane, Crossville, Tennessee, 38571, United States.